Move over, Banff Squirrel. There's a new contender for the Canadian Rockies' cutest mascot. 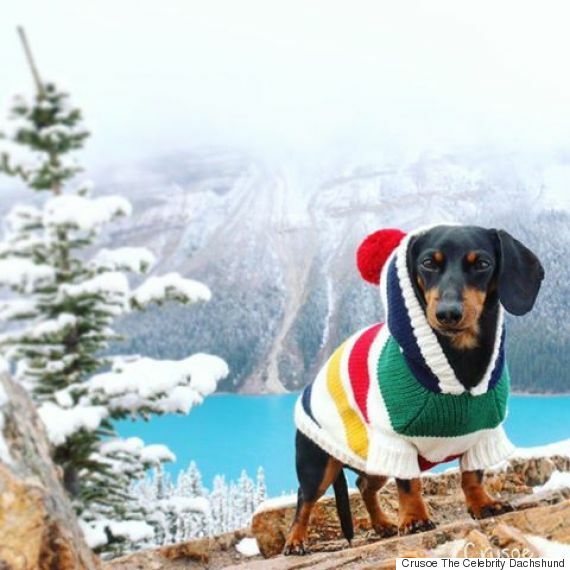 Crusoe the Celebrity Dachshund spent a week living his best life in Banff National Park, and we have to admit that we're pretty jealous. After undergoing surgery for his back in August, and a cross-Canada tour promoting tick and flea awareness, Crusoe and his owners decided a trip to Alberta was exactly what the doctor ordered. Crusoe is well-followed in social media circles — he has more than 250,000 Instagram followers and more than 1.2 million Facebook fans. So what did this popular pooch get up to in our beautiful national park? Watch the video above to find out!